I’m sorry, I don’t get this at all. The race for the At-Large 4 City Council seat offers two of the most capable candidates running this fall. Amanda Edwards, a municipal finance attorney with Bracewell & Guiliani, and Laurie Robinson, a government oversight contracting auditor who runs her own consulting firm, are thoughtful and knowledgeable about city issues. Both are impressive. 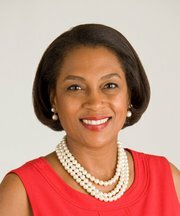 Our choice, and it’s almost a toss-up, is Laurie Robinson, and it’s a choice based on her years of experience with government-related endeavors. Although her opposition to the city’s equal rights ordinance gives us pause – she says she favors an ordinance in principle, but this one has become too divisive – we believe she will be an effective councilmember from her first day in office. Although we endorse Robinson, we recognize that her chief opponent has the potential to be an influential voice in public affairs and public service for years to come. 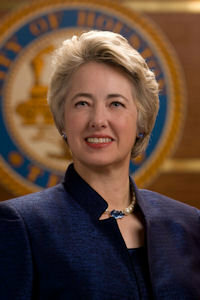 Whether Amanda Edwards wins or loses this time, it’s a win for Houston if she stays involved. It’s not that I expected Edwards to get the endorsement. It’s that I expected all of the Chron’s prior editorializing on HERO to mean something. If support for HERO – which Laurie Robinson expressed in her interview with me before doing a 180 for reasons unclear – isn’t enough to serve as a tiebreaker in a case like this, then what exactly does the Chron’s stated support for HERO mean? Why say you support something if you don’t back the candidates that agree with you on it? And I’m sorry, but saying HERO “has become too divisive” is a load of baloney. It’s like saying President Obama is “too divisive” because a significant portion of the Republican Party has gone completely bonkers since his election in 2008. Over 200 cities across the US have equal rights ordinances exactly like Houston’s. It is completely mainstream. One hundred percent of the divisiveness is the fault of the extreme zealotry of people like Jared Woodfill, Dave Welch, and Dave Wilson. Shame on the Chronicle for being so gullible. The real tragedy of this is that Laurie Robinson is a genuinely well-qualified candidate. She made a bad decision in renouncing her prior support for HERO, and she does not deserve to be rewarded for it. Again, I don’t understand why the Chronicle doesn’t understand that. The time for Amanda Edwards, whose interview is here, to be an influential voice in public affairs and public service is now. I recognize that, and I hope you do too, even if the Chronicle doesn’t. How many candidates are too many? The Rivard Report brings up a point I hadn’t considered before. Candidates or their representatives arrived at City Council chambers Monday morning to draw lots to determine the order of name placement on the ballot. As candidates waited in the audience, the room seemed to be filled with equal parts anticipation and dread. It doesn’t matter much if you are first, second or even third in a three-person race. Three our four names fit easily enough on a single screen of a voting machine. But there are 14 people running for mayor, and in an informal street poll I conducted downtown Monday, I was unable to find a single person who could name six candidates. Quite a few people named three, several named four, a few named five and none could name six. Four of the candidates are running visible campaigns with yard signs, frequent public appearances, organized block walking events and participating in public forums. But what about voters who won’t recognize the names of Ivy R. Taylor, Mike Villarreal, Leticia Van de Putte or Tommy Adkisson? The four frontrunners are seasoned officeholders who have run multiple campaigns and appeared on multiple ballots. But they face 10 other candidates, some of whom have filed for office before but none of whom have much name recognition or a record of holding elective office. I’m talking about Paul Martinez, Douglas Emmett, Michael “Commander” Idrogo, Raymond Zavala, Rhett Rosenquest Smith, Julie Iris “MamaBexar” Oldham, Cynthia Cavazos, Gerard Ponce, Pogo Mochello Reese, and Cynthia Brehm. The voting machines are going to have as hard a time as the voters with the mayor’s race. There is simply no way to list all 14 names on a single computer screen, and I wonder if even two screens will prove sufficient. It’s even more of a challenge when two of the candidates feature “Commander” and “MamaBexar,” nicknames that have to be listed. If you are a candidate listed on the second screen, you have to wonder: How many people will think the contest is only between the candidates listed on the first screen and cast their vote before they get to the next screen? The computer allows a voter to reverse a decision and also prompts a voter to review his or her choices before pressing “VOTE,” but that’s small comfort to a second page candidate. Here’s the Bexar County Elections webapge on their voting system. The video didn’t load for me, and the ES&S Flash Demonstration links are broken, but the picture at the bottom gives some idea of what they use. Here in Houston, we’ve not had a 14-candidate race in recent years that I can recall – there were 19 candidates in the January 1995 special election for Council At Large #4 – but we did have ten for At Large #2 in 2011 and twelve for District D in 2013. I’m pretty sure that Harris County’s eSlate machines were able to list everyone on a single page. At least, I don’t recall hearing anything about the candidate list spanning multiple pages. If San Antonio is like Houston, then Mayor will be the first race on the ballot. If the voting machines in Bexar County really can’t fit 14 names onto one page, then that seems like a serious flaw with them. Is this a real concern? I’m having a hard time wrapping my mind around it. This is also an opportunity for me to bring up one of my favorite hobbyhorses, which is that the draw for ballot position is ridiculous. I still can’t understand why an electronic voting machine system can’t be programmed to randomize ballot order for each race with multiple candidates and each voter. I’m sure it would take a change to state law to allow that – or better yet, require it – and I know that there would still need to be a draw for candidate order on mail ballots, but still. This seems like such a simple fix to a problem that vexes people in every single non-partisan election. Can we please do something about it? Another Council hopeful tosses his hat into the ring, though we don’t know exactly which office he intends to seek just yet. Tom McCasland, who took over the Harris County Housing Authority after it suffered in scandal, will run for an at-large city council seat this year, according to a campaign treasurer designation. McCasland told the Chronicle Thursday that he has not yet decided which of the five at-large seats to seek, but that he plans to make a decision over the next month-and-a-half. Incumbents are term-limited in at-large positions 1 and 4, and those vacancies have drawn most of the candidates over the past six months. “I’m taking a look at all the options,” he said. The HCHA director designated a treasurer for a campaign committee and a separate specific-purpose political action committee to support his campaign this week. He said he currently is assembling a campaign team and raising money. See this Chron story for some background on McCasland, and this story for a brief refresher on the mess he inherited at HCHA. The Houston Politics post also mentions that McCasland worked on Bill White’s 2010 campaign for Governor. Far as I can recall I’ve never met him and don’t know anything about him beyond what I’ve noted here. Sometimes, people who say they’re running for “something” but don’t specify what wind up not running for anything. We’ll see what happens here. Meanwhile, two other candidates who had previously been reported to be running for something have confirmed their candidacies. The first announcement to hit my inbox this past week came from Amanda Edwards, who is now officially a candidate for At Large #4. You can read her press release here. The other candidate to confirm what we had expected to be true is Bill Frazer, who sent out a media advisory saying that he will formally announce his candidacy for Controller on February 17. Frazer is one of three sure candidates, with two others still on the periphery. February is prime candidate-announcing time, so expect this sort of thing to continue for the next few weeks at least. 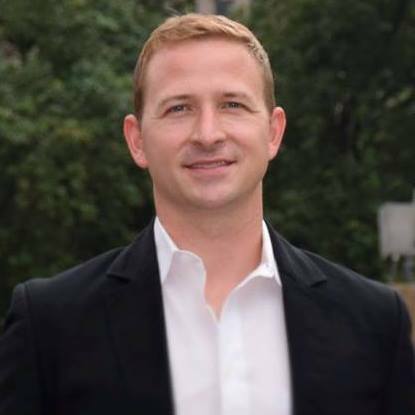 Houston Community College Trustee Chris Oliver has announced his candidacy for the open Houston City Council, At-Large Position 1 seat to be filled this November. 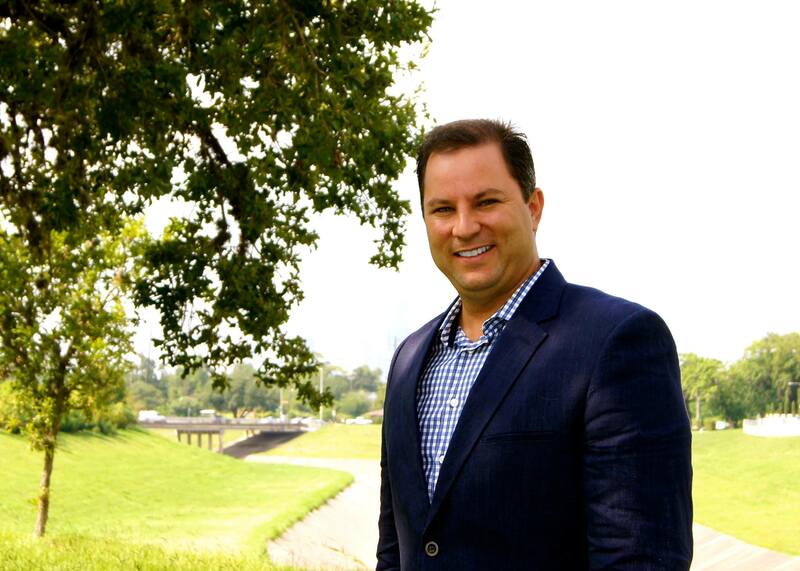 Chris brings years of experience as a businessman, legislative advocate, and Houston Community College Trustee for District IX to his campaign for Houston City Council. As Houston Community College Trustee for District IX Chris has sought to deliver every student a quality, affordable education. Chris’ long list of accomplishments as Trustee includes overseeing several HCC expansion initiatives, including the opening of Willie Lee Gay Hall on U.S. 288 and Airport. This milestone for the city represents the first time an academic institution of higher learning has reached this corner of the community. 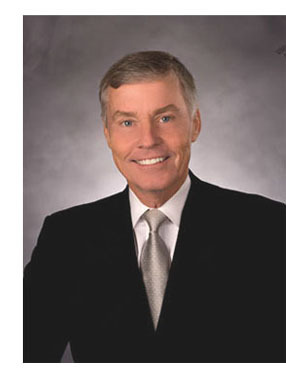 Chris was elected to the Houston Community College Board of Trustees in 1995 and served as Board Chairman from 1999 to 2007. His diverse professional career spans serving in the United States Congress as legislative aid, the U.S. Department of Labor overseeing contractor compliance, and owning his own business – Tekoa Property Management Group, Inc., a construction final cleaning company. He will look to leverage these experiences in his role as City Council Member At-Large for Position 1. You can see the email here, and you can listen to the interview I did with Oliver for his 2011 re-election here. There’s now at least five candidates in this race, and as I have observed about the Mayor’s race, there likely isn’t the room for all of them to run viable campaigns. At some point, it’s going to make sense for someone to shift to another race, whether the open At Large #4 race, for which there is currently one candidate, or a challenge to an incumbent. We are still very early in the cycle, so there is plenty of time for things to happen. Another endorsement twofer from the Chron, this time an incumbent and an open seat. 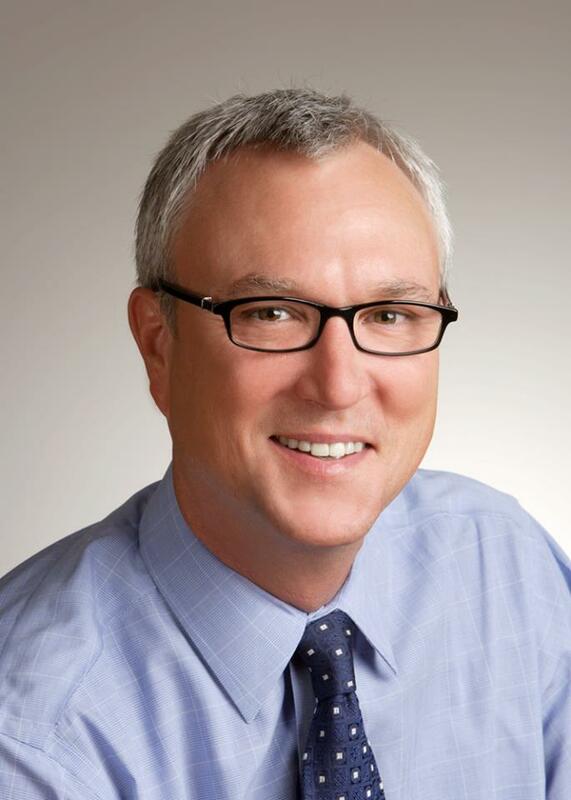 First up, the Chron endorses CM Brad Bradford for a third term. The duties of an at-large council member are not as specific as those of a district council member and At-large Council Member C.O. “Brad” Bradford has some ideas about changing that, which we’ll return to a minute. But first things first. 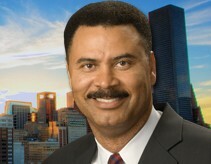 Bradford, the former chief of the Houston Police Department, has continued to serve this city well in two terms in At-large Position 4. He deserves to be returned to City Hall for a third and final two years at the council table. [T]he council member has presented an ambitious proposal to change the Houston City Charter. Among the ideas? Giving the five at-large council members specific portfolios such as public safety, budget and finance, parks and recreation, etc. 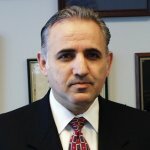 Bradford has drawn a worthy opponent in Issa Dadoush, a former director of the city of Houston General Services Department who is a licensed professional engineer and an MBA. We encourage Dadoush, now in the private sector, to remain interested in elective service at City Hall. But for the next two years, our clear recommendation for voters is C.O. “Brad” Bradford for City Council At-large Position 4. I was beginning to wonder when the Chron would get around to the last four races. For this race at least I didn’t expect anything unusual. I don’t have much to add to the Chron’s endorsement. CM Bradford is a sharp guy, and while I don’t always agree with him, he does bring a lot to the table. My interview with CM Bradford is here. 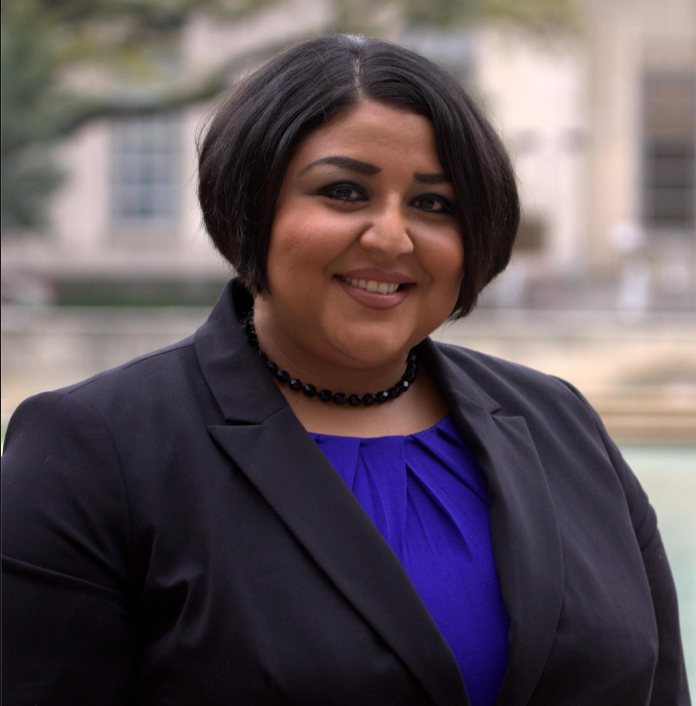 The Chron also endorsed Graci Garces in District I.
Whoever represents District I should have no learning curve at City Hall, and be ready to serve families in the district’s Hispanic communities and also booming downtown businesses. An inexperienced city council member risks killing the goose that laid the golden egg. We believe that Graci Garces, with her years of service within local government, is the best candidate for District I. Once represented by Hispanic political kingpin Ben Reyes, before he was busted in a federal bribery sting, District I has been held by a clean line of succession for the past 12 years. State Rep. Carol Alvarado was elected to that seat for three terms, followed by her chief of staff, James G. Rodriguez, who is completing his third and final term on council. Garces, Rodriguez’s chief of staff, would continue the Alvarado dynasty at City Hall. That isn’t necessarily a good thing. Lifelong staffers like Garces, 33, lack important private sector experience, and may have a greater sense of loyalty to their mentors than their constituents. But Garces hasn’t been some behind-the-scenes insider. For the past 10 years, she’s been the eyes and ears for City Hall in District I. Her specific, localized ideas go beyond the usual infrastructure and jobs agenda, with goals of reducing animal overpopulation in neighborhoods and tearing down blight. She’s walked the streets for a decade and knows the area well. After working in D.C. and Austin for a host of Hispanic representatives, Garces will be able to serve as a bridge between government and the community. Here’s my interview with Graci Garces. The Chron also gave a shoutout to Ben Mendez in their endorsement. Garces is a strong candidate, but as I’ll mention in a subsequent post, I don’t see any of the four having a clearcut edge over the others. Perhaps this will give her a boost towards the runoff. If you live in District I, who is your preferred choice? Here’s a look at the election returns in each Council district for the three “normal” At Large races, in At Large #1, #3, and #4. First up is #1, where first term incumbent CM Stephen Costello won a narrow majority for a second term. Costello’s numbers roughly match those of Mayor Parker – he did a little better in some districts, a little worse in others, and finished about a percentage point higher than the Mayor. A couple of things stand out to me. One, for all of the anti-Renew Houston backlash in District A, Costello didn’t do too badly there; he received as many votes as Brenda Stardig but had a higher percentage of the vote, as there was a greater undervote in his race. The total among his three opponents was about the same as Helena Brown’s total, so who knows, maybe all of the Bob Schoellkopf voters skipped this race. Two, the fact that James Partsch-Galvan was able to score in double digits in Districts H and I is a clear indicator to me that little to no voter outreach was done in those districts, at least for this race. No rational voter, given even minimal information about the candidates, would ever choose Partsch-Galvan. Greg suggests that CM Costello needs to work on increasing his name recognition, and I’m inclined to agree. When people don’t know anything about the candidates they’re voting for beyond the names they see in front of them, strange things happen. CM Noriega had over 55% of the vote, which is right in line with her performance in the 2007 special election runoff. She won majorities outside of the Republican districts, though her totals in B, D, and K were likely diminished by the presence of Brad Batteau, even if some people thought he was in another race. Carmona did decently in E and G but was mostly background noise in the rest of the districts. He had less money than Scott Boates did, but as Carmona did not try to have it both ways with his party ID, it probably worked better for him. One more thing to note is how well Noriega did in Districts H and I. Having a Latino name surely didn’t hurt, but let’s not forget that Noriega lives in District I and is pretty well known in and around there. She did better in I than its district Council Member, James Rodriguez: Noriega received 4,282 votes to Rodriguez’s 4,045. Point being, once again, that being known to the voters is a necessary condition for performing to expectations. CM Bradford had easily the best showing among contested citywide candidates, and one of the best showings overall. He also did not have something that Costello, Noriega, and Jolanda Jones had: A Republican opponent. My guess is that if you’d thrown a token R into his race – imagine Jack O’Connor moving into At Large #4 instead of the Mayor’s race after leaving At Large #5 – you’d likely move Bradford’s numbers down into the Costello-Noriega range. It’s impossible to say with any certainty, of course. There are so many factors to consider. Unlike Costello and Noriega, Bradford did get the CCLUB endorsement, which surely helped him in the Republican areas, but who knows if he’d have gotten it over a real Republican. I don’t want to understate Bradford’s strength as a candidate – he’s now won two multi-candidate races in a row with large majorities, which is no small feat – but I don’t want to overstate it, either. He was in a different race than his colleagues, and that makes it hard to compare them. I’m working on analyses of the At Large #2 cattle call, and of course the At Large #5 race as well. Look for them shortly. Let me know what you think of this. Another twofer, and another easy and obvious choice in At Large #3. For the past four years Houston has been well served in At-Large City Council Position 3 by Melissa Noriega. We recommend Noriega for a third and final term at City Hall. In her service on council, Noriega has demonstrated a welcome ability to be a team player and consensus builder in city government. 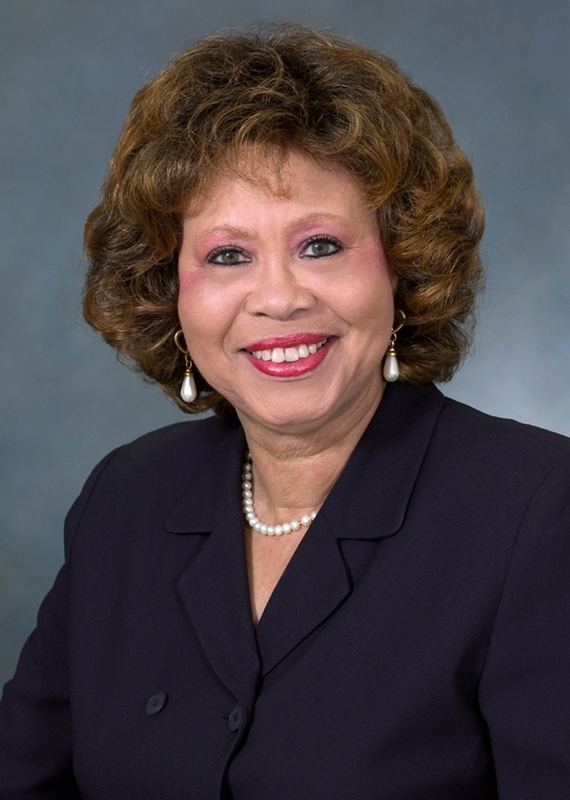 The Scarborough High School graduate, hailing from a family with deep roots in education, is herself a career educator, having served 27 years in several key administrative and staff positions at the Houston Independent School District. Noriega and the other four at-large council members have a unique role in working with district representatives and, in particular, identifying those areas where quality of life is suffering because of inequities in the placement of capital improvement projects. She is committed to pressing for fairness in this process to help close gaps in the quality of life for residents in different parts of the city. 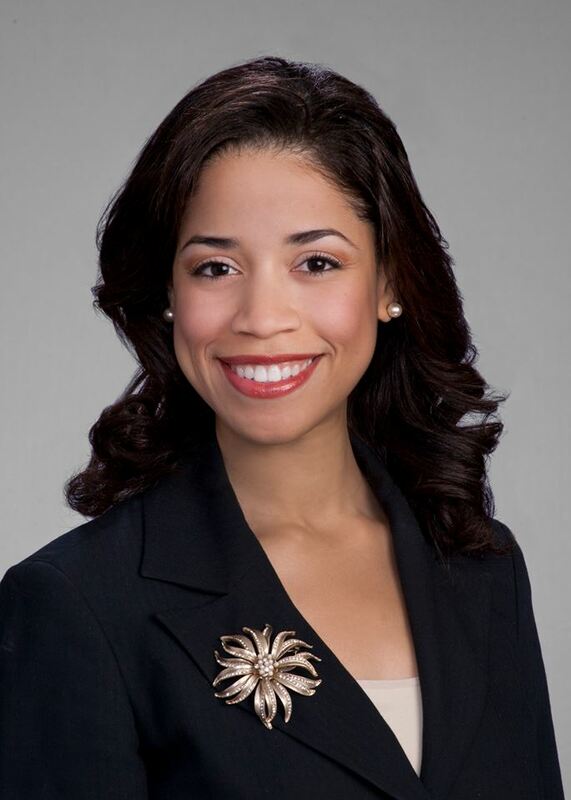 Melissa Noriega will give all Houstonians informed, energetic representation in a third term as an at-large councilmember. We urge city voters to cast a ballot for Noriega. You can listen to my interview with CM Noriega here. I think she does excellent work, and I agree with the Chron’s assessment. The Chron stayed with the incumbent in At Large #4 as well. In the race for Houston City Council At-Large Position 4, voters have a choice among two attractive political newcomers and a well-regarded incumbent, former Chief of Police C.O. “Brad” Bradford. With a nod of encouragement to the newcomers to continue with their political efforts in the future, we heartily recommend Bradford for a new term. 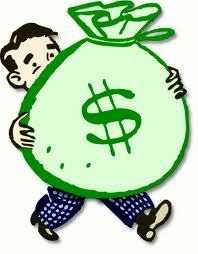 He brings to council judgment, maturity and wide experience in handling budgets, personnel and management issues. C.O. 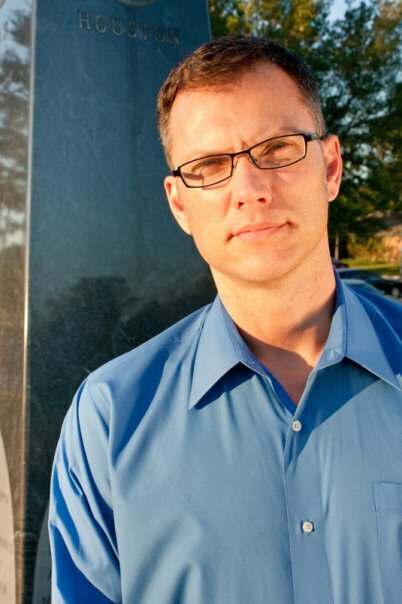 “Brad” Bradford is a significant leadership resource on Houston City Council. We commend him to voters for another term. My interview with CM Bradford is here, with Louis Molnar is here, and with Amy Price is here. As I’ve noted, the Chron doesn’t usually mention anyone but the endorsed candidate – this is only the third time out of fifteen, and one of those was to castigate the incumbent as they recommended his opponent – so good for them for that. The Chron seems to have set itself up for an eventful weekend, with At Large #5 presumably coming tomorrow, and Mayor on Sunday. My prediction is that the Chron will decline to endorse CM Jolanda Jones for a third term. They did endorse her in 2009 and in 2007, so I could very well be wrong about this. What do you think?